Living in the era of technology, we are all addictive to our smartphones, having a constant need to scroll and swipe. The Substitute Phone can help you get rid of this addiction. We should all admit that we are addictive to our phones because they facilitate the use of information since everything we need to know is only a few swipes and clicks away. Hence, the fact that you touch your phone has been associated with that pleasure. This can determine you to want to hold your phone even when you do not need to use it. Purchasing a Substitute Phone is exactly what you need. 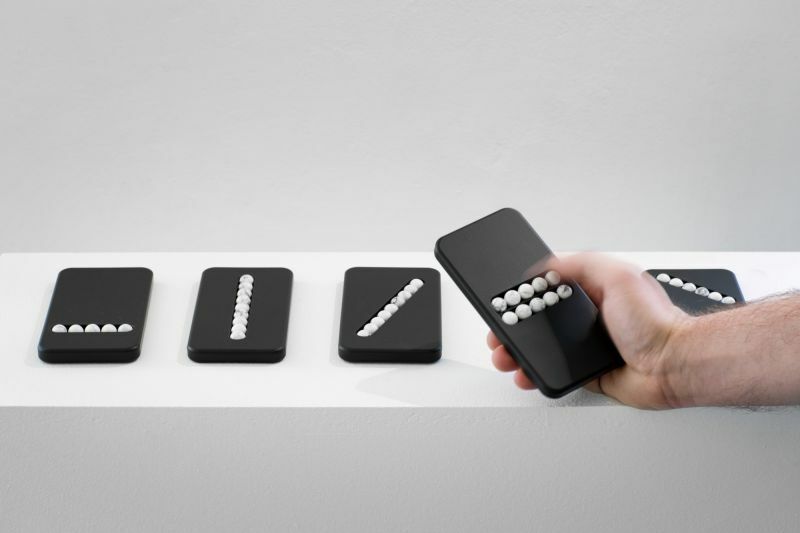 This device developed by Klemens Schillinger is an inert piece of high-quality plastic which features some stone beads. You can easily run your fingers along them to simulate swipes or slides. These stone beads roll in place, offering a similar frictionless feel. Most likely, this is also a pleasant massage for your fingers. Depending on whether you are a compulsive zoomer, scroller or swiper, you should know that there is a model designed just for you. Schillinger describes the object as a prosthesis, being created to reduce to nothing more but motions. The product can help addicts deal with withdrawal symptoms. The Substitute Phone represents a therapeutic approach for all smartphone addicts. The disturbing frequency with which we tend to use our smartphones and Umberto Eco have inspired Schillinger to develop this object. Umberto Eco, after giving up smoking, he replaced his pipe with a simple stick. For us, this is the same thing. To get rid of the addiction, we need to replace our smartphone with a Substitute Phone to reproduce the swipes, scrolls, and zooms. Giving up our smartphones is like any other addiction, being similar to giving up smoking.